What’s going on at Camp Emerson? 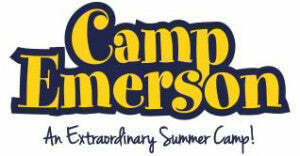 Home > Blog > What’s going on at Camp Emerson? We love talking about ourselves here at Everything Summer Camp. But it’s good to give somebody else a turn every once in a while too. That’s why we started posting Summer Camp Spotlight posts. These Blog posts take the spotlight off of us and put it on a deserving camp. Today I’m talking about Camp Emerson. Located around the magical Berkshire mountains of Massachusetts, Camp Emerson boasts some beautiful campgrounds, sandwiched between Lake Emerson and Lake Plunkett. 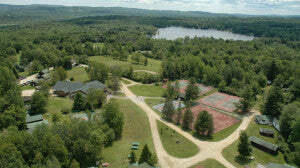 With awesome surroundings and great facilities, campers at Camp Emerson are free to play, make friends, and grow! Into sports? You’ll have a blast at Camp Emerson. They have everything from their Basketball court to the Baseball diamonds, Volleyball nets, and Soccer fields. They offer Archery, Fencing, Golf, Gymnastics, Tennis, Fitness. And don’t forget the water sports! They’ve got Canoeing, Kayaking, Waterskiing, Wakeboarding…. They definitely have it all at Camp Emerson! They also have awesome programs for performing arts like acting, dance, improve, and a lot more as well as excellent programs in visual arts like cartooning, Jewelry, Mixed Media, Stained Glass, and so much more. For kids whose interests are all over the map, Camp Emerson presents their ‘Step Beyond’ program, a fast-paced course in kids who are hungry to learn about a broad range of cool things. From Cooking to Rocketry, their appetites will be sated in the ‘Step Beyond’ program. They also offer very cool wilderness and survival programs where campers can go exploring, go fishing, and learn survival skills. Camp Emerson campers create their own schedule every two weeks by picking their favorite six activities for their well-rounded, full camp days. Why shouldn’t they get to choose. After all, it’s their camp stay! And these full days make up their camp experience where they undergo a great level of personal growth and begin to understand the concept of their role in a community. Camp Emerson is awesome! Check it out for yourself and, as always, thanks for reading.